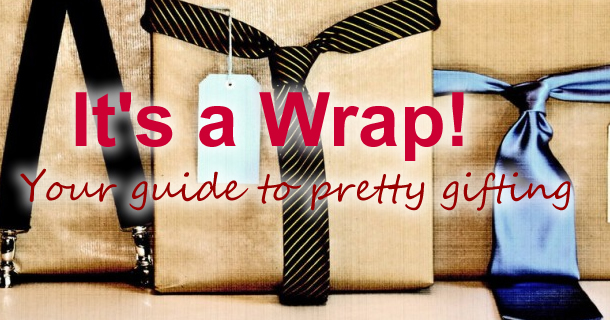 Think outside the… wrapping paper tube! 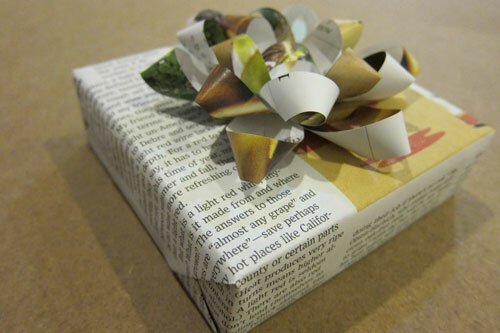 Use newspaper to wrap up presents instead — eco-friendly and unexpected! Just be sure to go through the pages to make sure there are no controversial articles or, *ahem* obituaries. 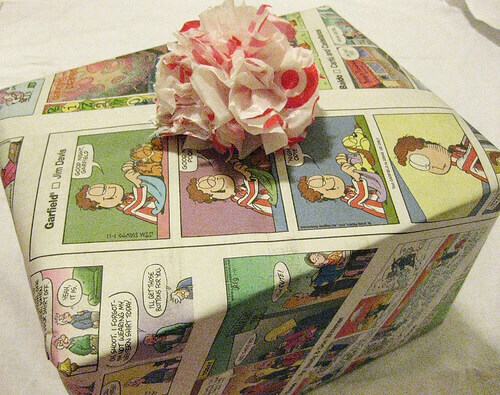 For a more colourful twist, use the comics; the finished result will bring double the smiles to the recipient! Yes, the men are hard to shop for. (I don’t want to hear any complaints about us. We women are more than happy to say what we want, and yes… lingerie is always welcome.) 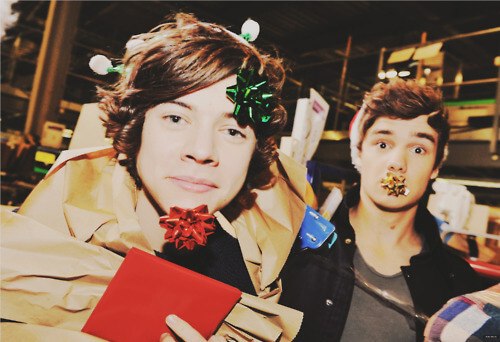 But at least you can make their hard-found presents look effortlessly dashing. 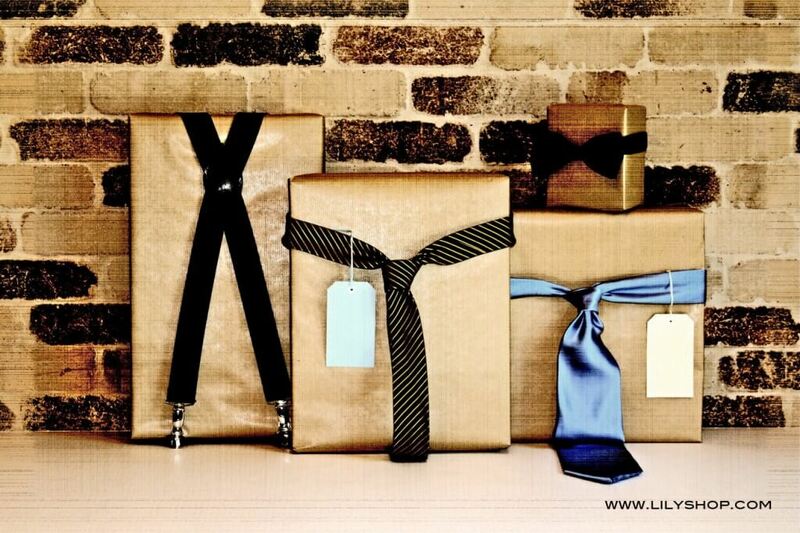 Simple wrapping paper doesn’t mean boring. It’s like that ‘plain’ sweater dress in your closet. Spruce it up with the accessories! Tuck a bit of nature to reflect the winter season. You’re on your own with creating the perfect bow, though. Not really, here’s a guide. 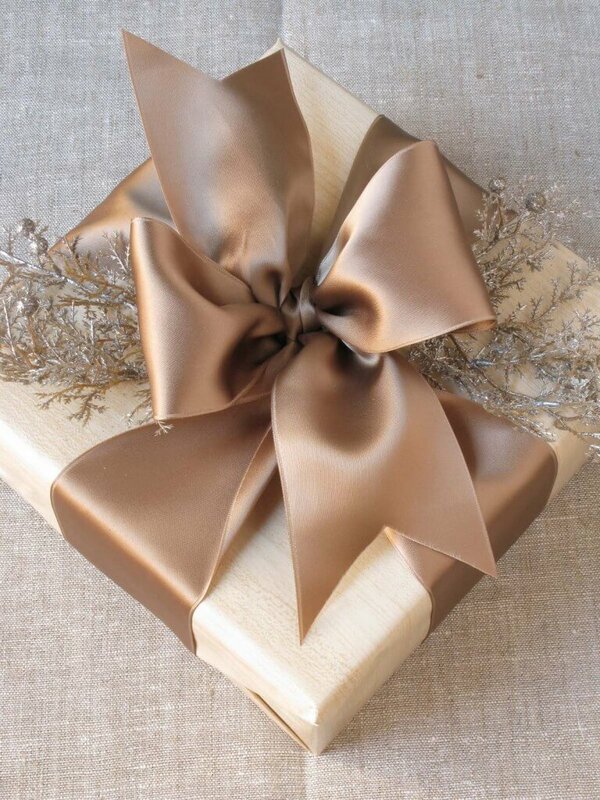 It’s ok to wrap a present in ‘lunch bag paper’. 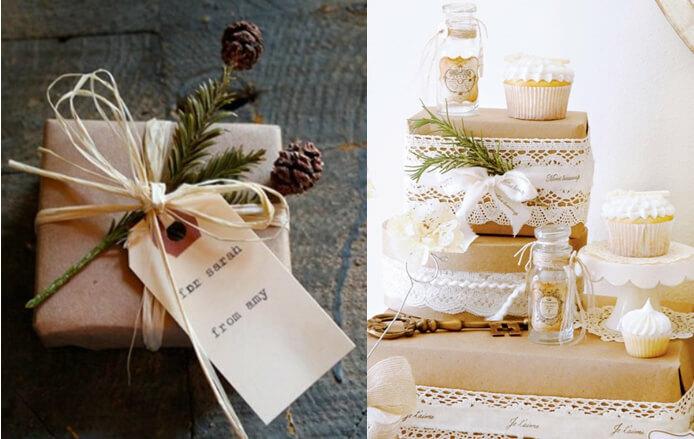 Raffia ribbons, evergreen boughs and a simple, typed tag complete the transformation to luxe. Lace is also simple yet lovely. Like mixing high street with haute couture! 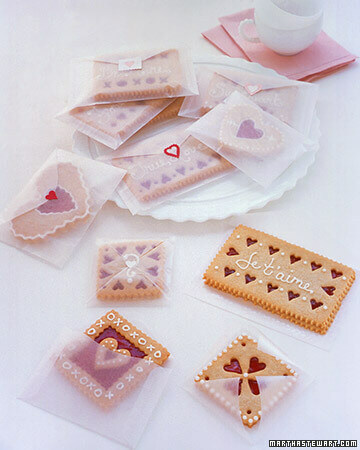 From Martha Stewart: Use glassine or waxed paper to envelop some heart-felt treats… it’s like the foodie version of wearing sheer tops to show off pretty lingerie! Perfect for Valentine’s Day, or anytime you feel like sending a dolled-up treat. 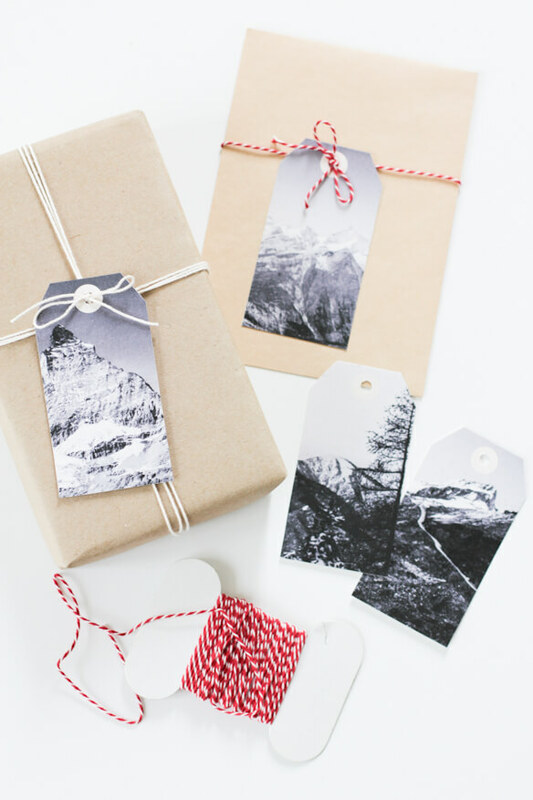 Great idea for a photographer, or if you are one yourself… personalize the gift tags with your own photos of landscapes or special memories. 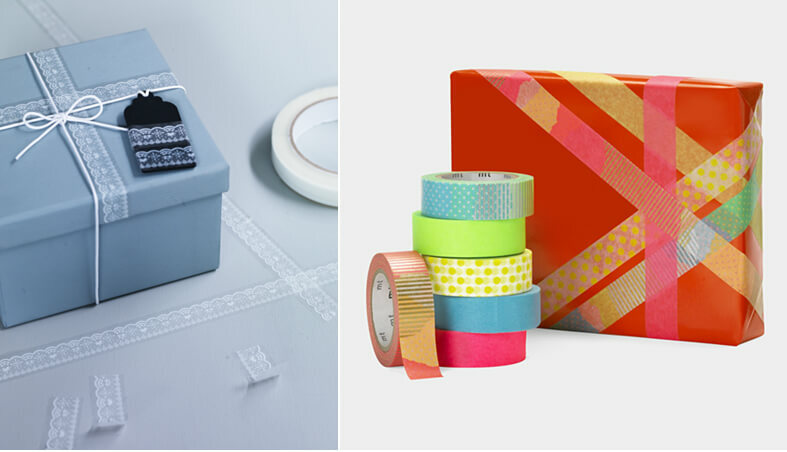 There’s decorative tape to suit everyone’s tastes… from the elegant to the funky. Have an old sweater? Cut off the sleeve, and slip the box through it. 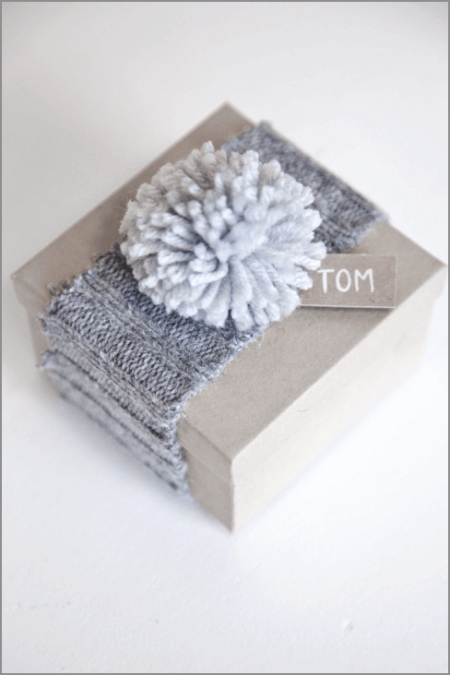 So simple and snuggly –especially suitable after this ‘snowmageddon’ we’ve been experiencing! 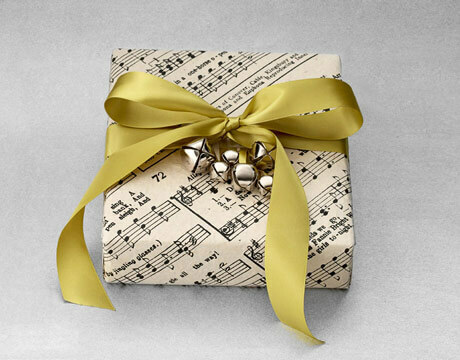 What are your ‘secrets’ for jazzing up presents? Care to share? We’re all ears at Facebook, Twitter or Pinterest!